I'm back into my meal planning since school is back in session. 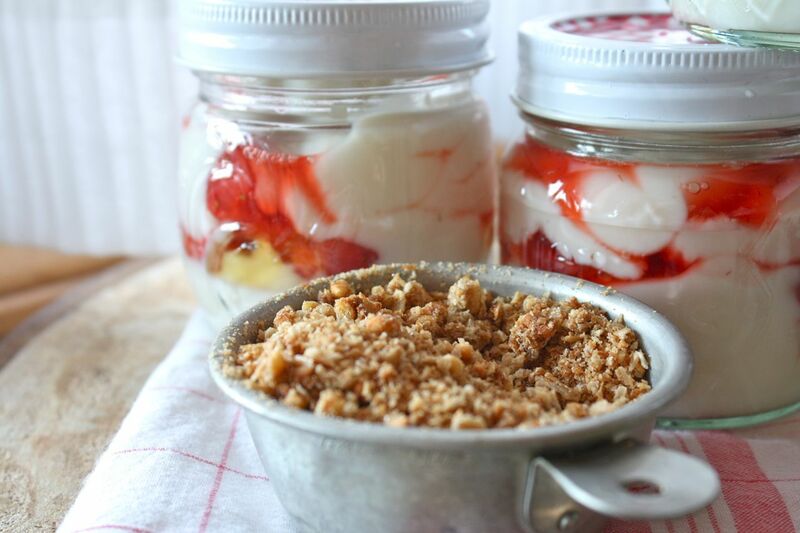 This recipe for Roasted Strawberry Parfaits from Spoonful sounded intriguing because of the roasted strawberries. It was a definite hit with the family so I thought I would share. The Pinterest link for this recipe is here. 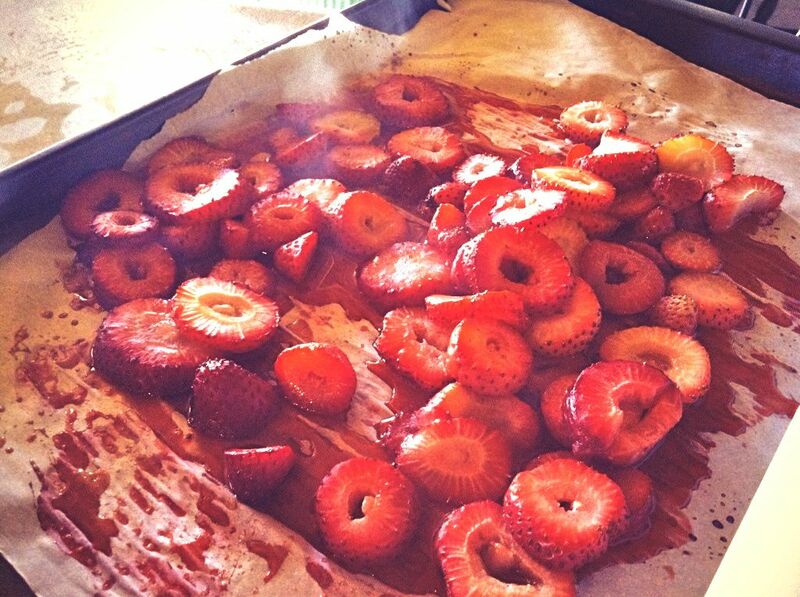 Here are the roasted strawberries. I was curious to see if there was any difference in roasting the strawberries in the oven with the brown sugar versus just adding some sugar to the strawberries to bring out their natural juices. The roasting was fabulous. It softened the strawberries and brought out lots of juice which when mixed with the brown sugar created a really nice, sweet glaze. I followed the rest of the recipe to create the pretty parfaits. I used lowfat vanilla yogurt instead of the plain greek yogurt. I used pretty little half pint jars to layer my parfait ingredients. A perfect breakfast for the girls on busy school mornings. These would make a great dessert too. For the granola, I found an empty box in the pantry but no granola. The LIST people, it's called the list. Write it down. Geez. Anyway, I crumbled up some firm granola bars and that worked just fine. 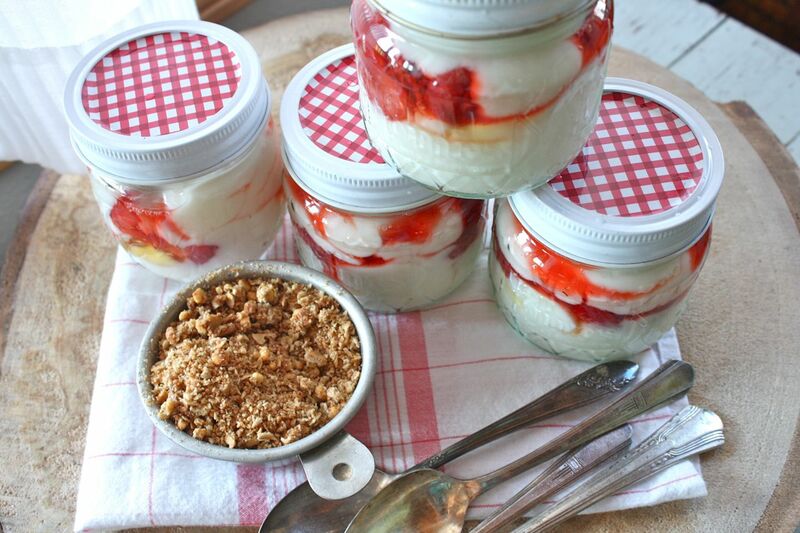 See the honey layered in with the strawberries. I like to use local honey that is collected just down the road from us. 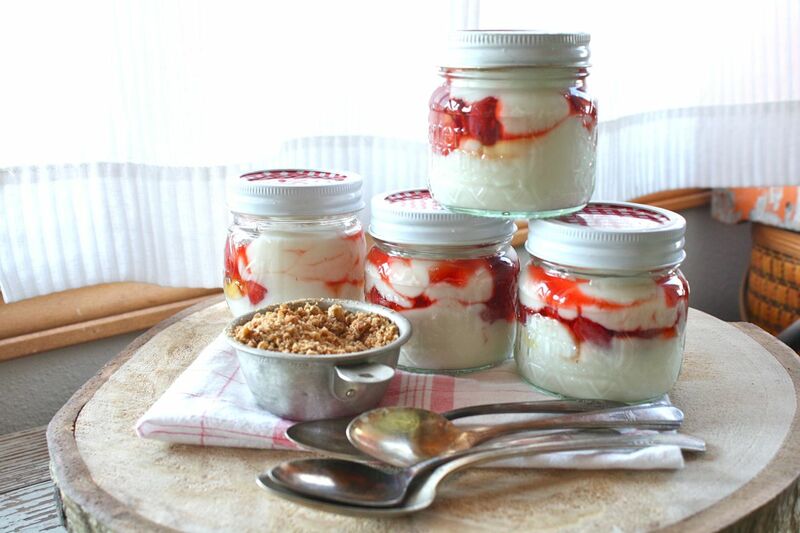 I used gingham lids and white rings to fancy up the jars. So cute. I'll definitely be adding this to our breakfast and snack menu often. Hope you enjoy!